Whether you're a band or a musician just getting the word out about your music, we can make the right custom sticker to match your beat. 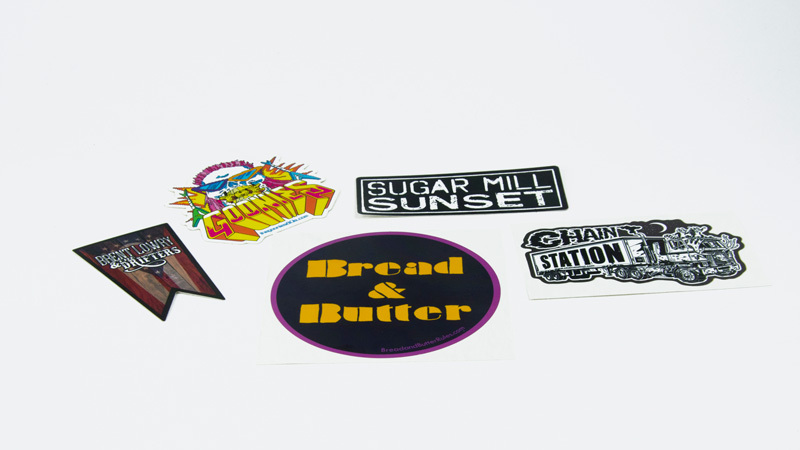 We can make custom sticker sheets for your merchandise table or print your band logo as a custom shaped sticker. We offer fast turnaround with free shipping to get it to you in time for your next show. Keep your stickers small. There's more places for smaller stickers to go. Use your band's logo as your design. Include contact information – website, facebook, SoundCloud, whatever helps your fans find you!